Fans at the gig got right up close to the band, in the relatively intimate surroundings of the Barrowland Bar. For fans watching online, our cameras took them even closer as they enjoyed a shared experience – albeit with about 10,000 other people but feeling none the less intimate. 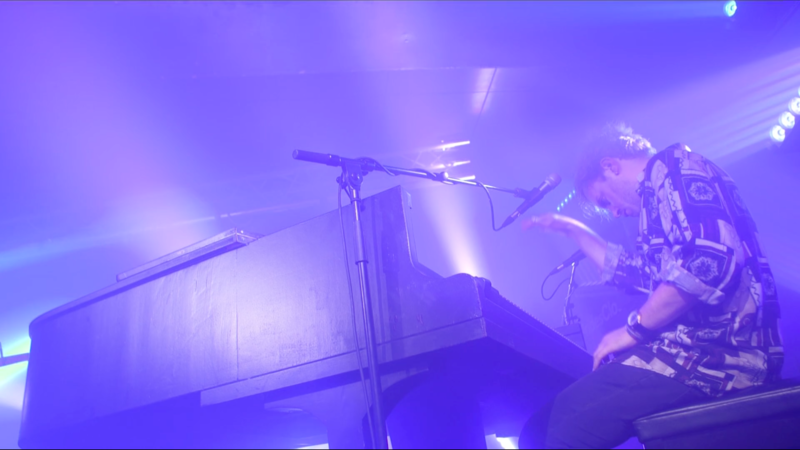 The highlights video we made features a few words with Stewart Brock and Callum Wiseman from Prides plus clips of their stripped back performance in the Bar of Glasgow’s legendary Barrowland venue. My company, Inner Ear, live streams music events all the time. What’s the big deal about this one? Firstly the client – we had never done an experiential project for a bank before – and secondly the potential challenge of streaming to three separate platforms at once. 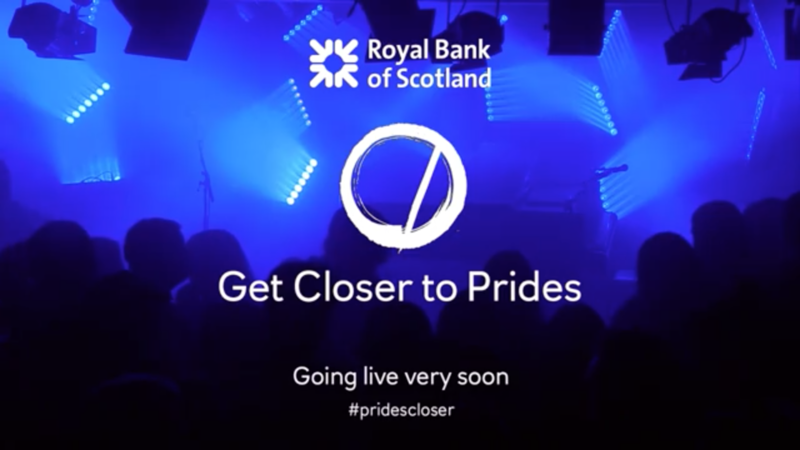 So creatives and planners at the Leith pioneered an idea I have been pitching for years: use music to run through the line, linking the above the line TV ad to below the line social media content. Makes a lot of sense to me. Use the cultural capital of the song to deepen the engagement with the brand then live stream an intimate gig by that band to reach as many fans as possible while still keeping the experience up close and personal. The effect was striking. Working together (more on that below) we made the show look and sound great, which was a treat for the viewing audience, bringing them something special, and perhaps unexpected. Deconstructing a simple, effective concept like that (stream a gig), leaves many elements on the ideas workbench. The client were keen to use the Barrowland, partly because it can be seen in the video. We (everyone involved in producing this project) wanted the gig to feel intimate, both for the audience in the room and those watching online. While the Barrowland Ballroom, upstairs, is one of the world’s most iconic venues, the Bar, downstairs, has the same character but suits a stripped back, (largely) acoustic performance. Putting a gig on in a smaller space does bring challenges though, not least where to put everything – especially if it’s being filmed. This project had many highs for us, and few lows (just a few of the usual unexpected technical glitches that have to be ironed out in the dark in confined spaces, nothing out of the ordinary in this kind of work). It was refreshing for us for the video – and live stream – to be the most important element of the gig. And, working with the production manager (Graeme Beattie), lighting designer (Scott Munro of SM Lighting), sound (Nick Lawrie, Ben Bentley and Keir Long from Custom Audio), network engineer (Alan Davidson from TeckieBeard) and the great team at the Barrowland, we figured out a setup that gave us what we all needed and maximised space for the audience. Scott lit the show for the video, although it still looked great in the room. Our camera operators were as discreet as possible while striving to get the best possible shots. We try to keep the cameras hidden and out of the way, but sometimes their presence adds to the experience for the audience. There’s something undeniably exciting about being part of a shared live experience. Getting glimpses of the people and equipment that make that happen can add to the excitement. So we tested streaming to three independent platforms concurrently with a combination of capture devices, hardware and software encoders. That worked. For the gig – thanks to Alan at TeckieBeard – we allocated specific bandwidth to each encoder and streamed simultaneously to Facebook Live and YouTube Live with Livestream standing by as a backup. All of the streams were in HD with good quality sound. And, of course, we made two separate hard disk recordings in full quality for the archive. And a special thanks to my crew (Pete Linnemann, technical director; Matthew Sweeney, assistant producer; Kurt Abernethy, sound engineer; Gordon Ballantyne, DoP/camera 1; Andy Brown, camera 2; Benny Robb, camera 3 and Amanda Mitchell, sound recordist), Jim, Steve and Victoria at the Leith Agency and all the team at the Royal Bank of Scotland for being fun, friendly and working together effectively to help make this happen. Producing a live programme and streaming it to an enthusiastic online audience provides a deep level of engagement with your brand. We can help you make your project happen. Get in touch and let’s go live.